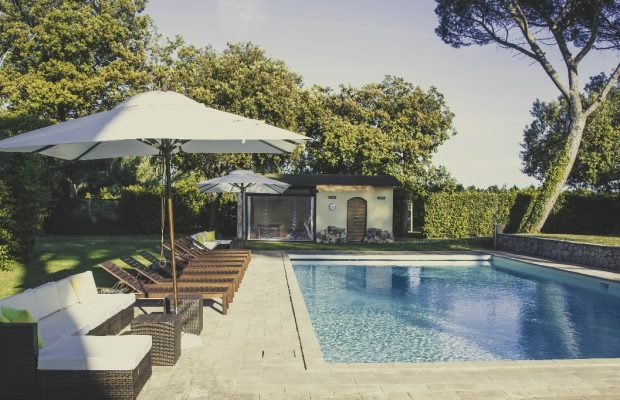 Sleep 26 – 30 people: Villas with pool in Italy. We have a large number of multiple-unit properties – e.g. farmhouse complexes divided into apartments with pool and good on-site facilities. Ideal for very large groups. Need more hints to help you choose the right property for your large group? More tips here. Let’s talk and plan your perfect large villa holiday. Splendid independent mansion dating back to the year 1500. 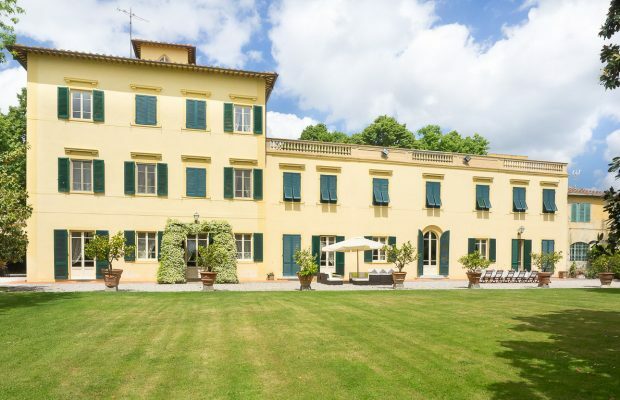 Villa Ravano – contact us here for a quotation based on your own party size. VILLA RAVANO, near San Giuliano Terme . Walk to town. 500m walk from bus station, 1.5km walk from railway station. 10km from Pisa airport. Sleeps 26 – 30 people in up to 16 bedrooms. (Or up to 36 people for a supplement). Private swimming pool. Games room with billiards and table football. Piano. Bicycles. Table tennis. Tennis court. Football pitch. Wifi. Garden / lawns. Prices for your group on request. Montaione, with fenced swimming pool, 2km from Montaione, Tuscany. Sleeps 26 in 13 bedrooms, 13 bathrooms. Swimming pool + baby pool. Tennis court / soccer pitch. Small lake with picnic area. The property is divided into 5 apartments. Stunning interiors. Villa Giare, near Cortona, Tuscany. Just 200 m from the village of Fratticciola with a food shop. And 2 km from the village of Fratta with shops and restaurant. Sleeps 26 in 12 bedrooms, 11 bathrooms. Beautiful property divided into 8 units but rented as an independent villa with communal dining room. Swimming pool. Air conditioning. Free wifi. View Borgo Cevoli PHOTO GALLERY/DESCRIPTION . Contact us here for a quotation based on your own party size. BORGO CEVOLI, in the village of Cevoli. Set in the countryside between Pisa and Florence, Tuscany. Can sleep up to 40 people in up to 15 bedrooms. Private swimming pool. Hot tub. 2 Games rooms with pool table. Table tennis. Wifi. Professional kitchen. Pizza oven. 2000m2 of gardens and terraces. Borgo Cevoli – ask us for prices for your specific party size. Pitligliano, Southern Tuscany. Sleeps 27 in 12 bedrooms, 9 bathrooms. Swimming pool and tennis court on-site. The property is divided into 8 units. 7 are rentable to guests, the keyholders live in the 8th. Ideal for large groups as it is possible to hire a spacious common room with kitchen (oven, freezer, dishwasher), dining area, fireplace and toilet (extra charge). Le Colline, near Montaione, Tuscany. Sleeps 28 in 13 bedrooms, 7 bathrooms. Swimming pool. Tennis court and seasonal vegetable garden available to guests (at 4km). Wifi. Le Donne di Bargecchia. Just 500m walk to village of Bargecchia with all kind of shops, restaurant, pizzeria and bus stop for Viareggio on the Tuscan coast. Fantastic views. Sleeps 29 in 9 bedrooms, 7 bathrooms. Property is divided into a villa and 4 annexes (one of which is lived in by the housekeeper). Swimming pool. Flavia. 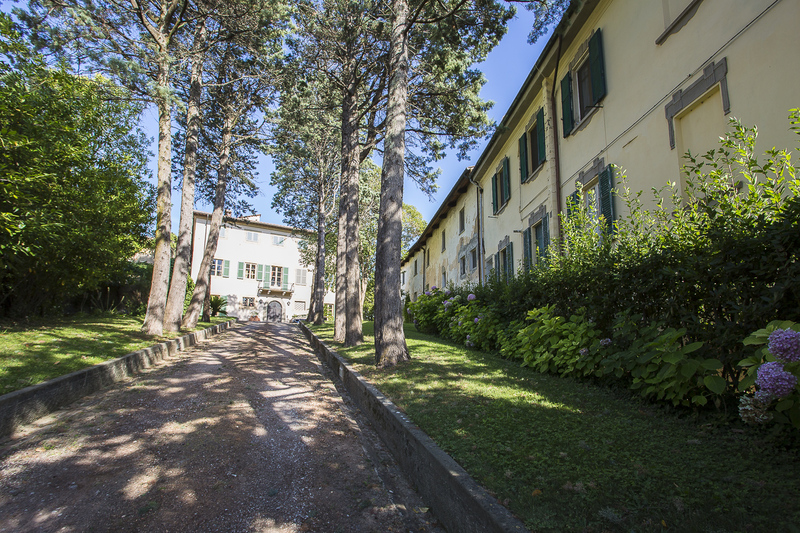 Fantastic location, midway between Lucca & Pisa, (both 8km away). 6 apartments with shared pool. Sleeps 30 in 12 bedrooms, 12 bathrooms.Each apartment with internet access. Versilia beaches 35km. Food shop and bus stop just 100m away. One of the most popular group of apartments in our rental programme. Highly recommended. Shared room with drying and ironing facilities. Large garden with swimming pool shared with property owners. Bastia, near Umbertide, Tuscany/Umbria borders. Sleeps 30 in 13 bedrooms, 13 bathrooms. Beautiful 15th-century hamlet, recently renovated and converted. 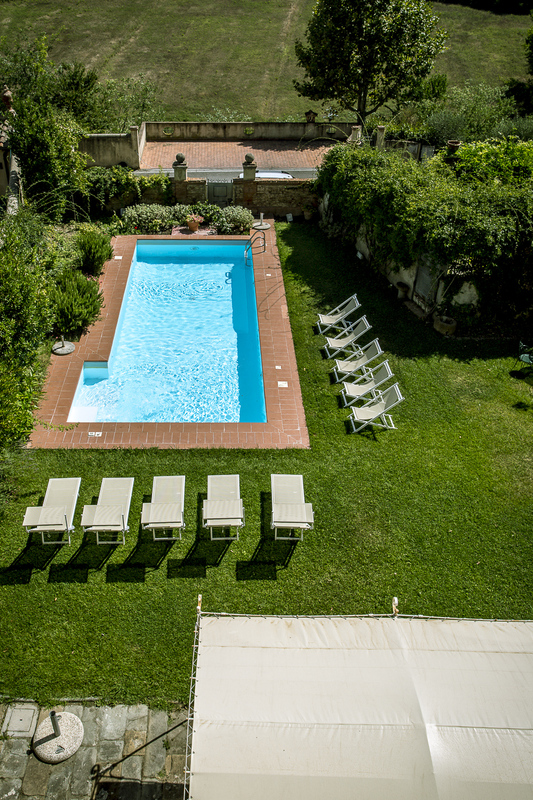 The property is made up of 5 spacious apartments, and a vast, equipped garden with a pool and tennis court. Each apartment offers air conditioning, satellite TV and Wi-Fi internet. An elegant common room (in what was originally the ancient chapel) can be used for cooking lessons, breakfasts (upon request), surfing the internet (laptop available), playing the piano. Breakfast and dinner served on request. Can’t find what you’re looking for? We have more villas.